Dan Jajic was elected to the position of Business Manager-Secretary Treasurer in September 2018. 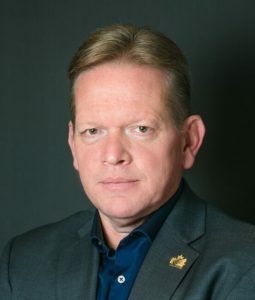 In this role he is IUPAT DC38’s lead negotiator and chief financial manager, and is the chairperson of the Joint Trade Board, which runs the Finishing Trades Institute of BC. Dan was the elected Business Representative for Local 138 in 2008. Dan’s first exposure to the industry was as a high pressure water blaster from 1986 to 1996, serving as a shop steward for five of those years. In 1996, Dan began working in the outdoor advertising business where he was also a shop steward. In January 2006 he was recruited as DC 38’s part-time organizer and representative for the outdoor advertising shops. In 2008 Dan was elected as the full-time business representative for the Painters’ Union, Local 138.